Singaporeans born on my era would remember those pandan used to be served by our mothers for a quick breakfast or snack. Although the pandan cake was made from bottled pandan extract and food colouring, I kind of missed it, especially now that we don’t get the same quality nowadays from the bakery franchises here. Zzz made a version with pure pandan juice extracted with the hurom slow juicer. And oh my! The pandan smell is heavenly! Oh and xiaoliang loves it too! Wash the leaves thoroughly. Snipe of the white parts. Remove the center veins(this is probably optional, didn’t want to stress my machine too much). Cut the leaves into 10cm strips. No need to dry. Feed the wet leaves into the slow juicer fitted with the fine sieve and juice cap on. Yields about 2 tablespoons of pandan extract. 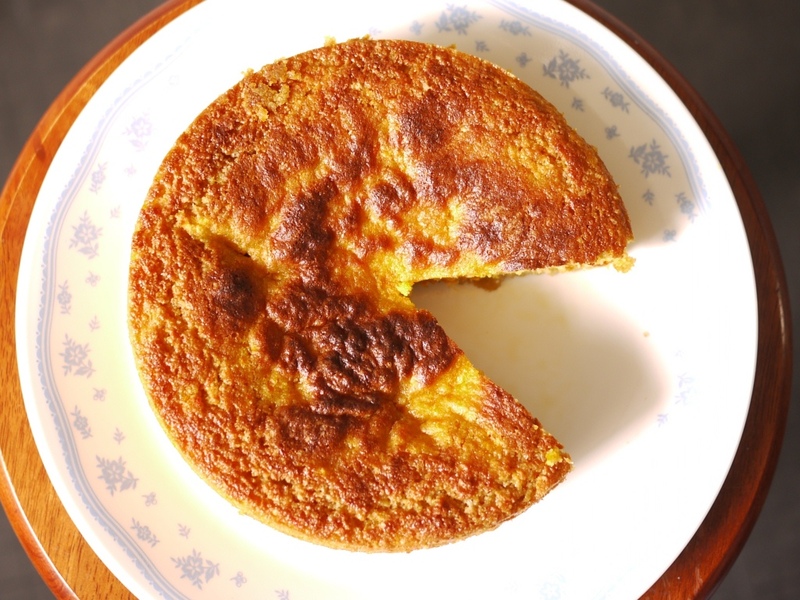 It can be used immediately or may be kept in fridge for up to 5 days. Heat milk and butter together until butter just melted. Turn off heat and allow to cool. Sift flour, baking soda and salt into a bowl and mix well. In another bowl, whisk the eggs by hand or with machine for 4 mins. Gradually add sugar and continue to whisk for another 4 mins. Add flour mixture and stir to just combined. Add pandan extract into milk and butter, stir to mix. Add vinegar. Add the pandan milk mixture into the batter and mix to just combine. Transfer into cupcake moulds or cake tin. Bake for about 20 mins, depending on the mould, or till the kitchen smells of pandan, or till a toothpick inserted comes out clean. Transfer to a rack to cool 5-10 mins after removing from oven. My birthday birthday cake and my birthday was over long ago. So this is a long overdue post. Its been so long since we last blogged! But not for the busy-ness in the kitchen. The cooking and baking continues! Zzz made some chocolates with a robot mould. So cute right. He bought it because the moulds look cute and i half suspect because he is that a nerd. Ahahha! But the chocolates tasted really good. Ah. I love chocolates and sweets. Even more so when they are made so adorable. He actually made these and cleaned the kitchen up in the time I was making xiaoliang sleep (and falling asleep myself)! Very professional I must say. 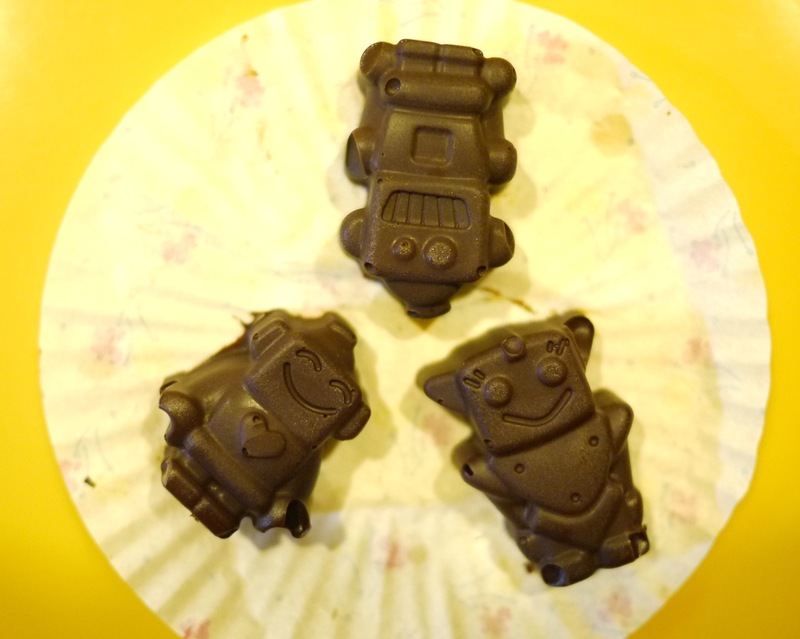 Family of chocolate robots. Mummy Daddy Liangxi! Birthday cake! Pandan sponge cake with gula melaka chantilly. Use a scissors to snip away the pointed tips and white base of the leaves and discard. Cut the leaves into small and thin strips. This is to preserve the lifespan of your blender. Put all the leaves into a blender with 1/2 cup of water. Blend. Pour out over a fine strainer over a bowl. Squeeze out as much moisture from the leaves as possible to extract flavor. Return the leaves to the blender. Pour in another 1/4-1/2 cups of fresh water and blend again. Again pour out over the strainer and squeeze out the moisture. Remove the clear liquid above the pandan extract (a syringe will be very useful here). Cover with double cling film until ready to use. Fresh pandan extract will likely stay fresh for only a week in the fridge. Melt the butter and set aside to cool. Preheat the oven 160 deg C. Line a 9 by 13 inch baking tray with parchment. Beat eggs on medium high for 4 minutes. Meanwhile, sift flour, salt and baking soda into a medium bowl. Add milk, vinegar and homemade pandan extract to the melted butter and stir to combine. Add sugar to the eggs and continue beating for 4 minutes. Reduce beating to low speed and while beating add the flour mixture. Add the butter-milk mixture and beat till just combined. Pour into prepared pan and bake for about 10 minutes. Cake is almost done when the smell of pandan starts filling the kitchen. Whip the cream until its almost whipped. Add gula Melaka. Whip, taste, add more gula Melaka if desired. Whip again until its done. Pour a tsp of melted chocolate onto silicon (robot) moulds and paint a thick layer on the bottom and sides. Chill in fridge until set. Meanwhile make a ganache by heating an 200 ml of cream to boil and pouring it over 200g of chopped chocolate (I actually used coconut cream in place of cream). Sit for a minute and stir till a smooth ganache forms. Pour ganache over moulds to just 2mm from the brim. Return to fridge to set. When ganache is set, pour 1/2 tsp of melted chocolate on each mould to form the base. Set in fridge and unmould when set. Use a ring mould to cut out discs of cake. Chop the left over cakes into fine crumbs. 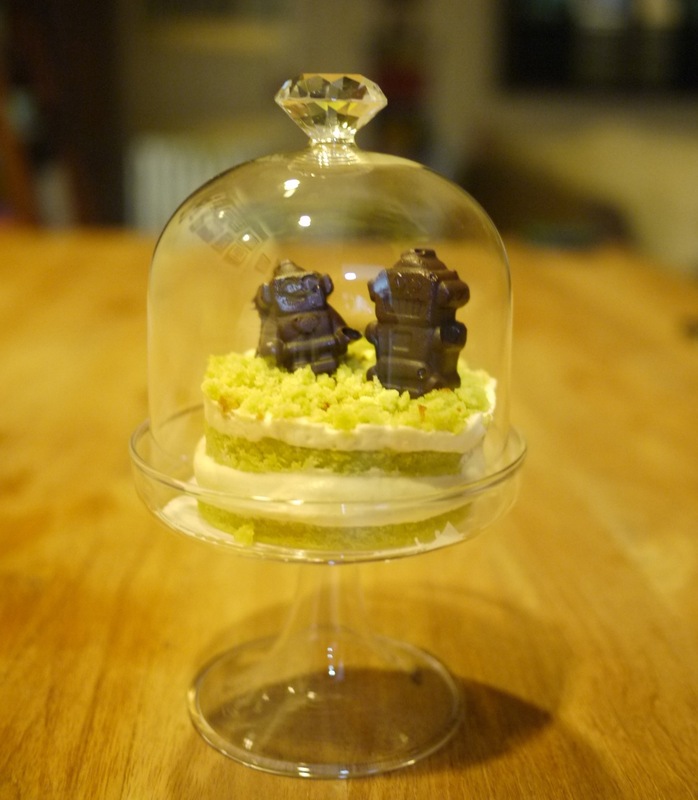 Alternate layers of cake and chantilly into the ring mould (2 layers each). Scatter top with cake crumbs. Place robot(s) on top. 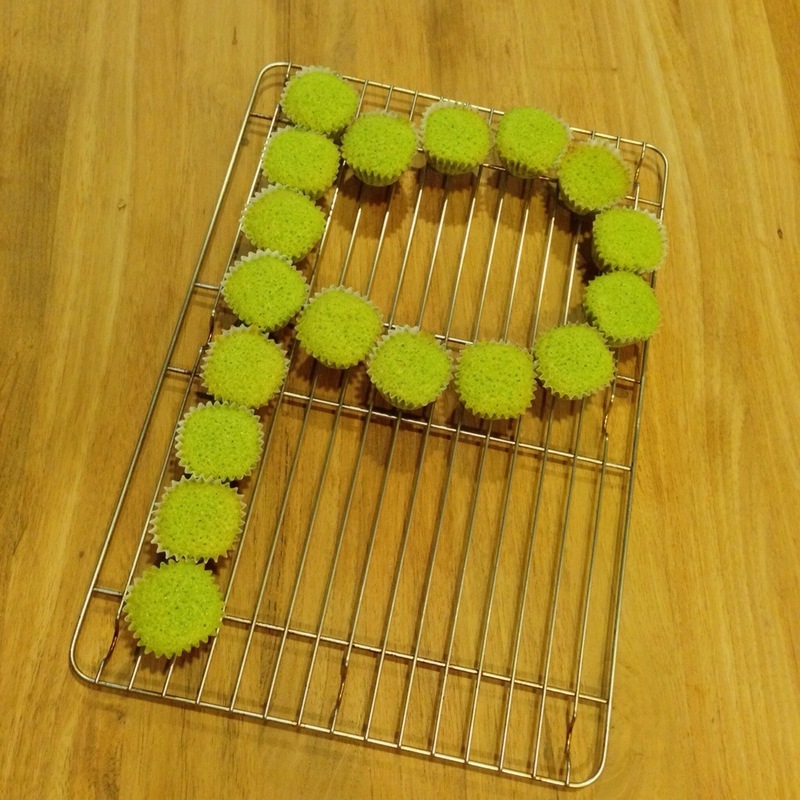 This entry was posted in Bake and tagged birthday, cake, chocolate, robota on September 10, 2013 by three3seconds. Giving dous (Sumana) chocolate is quite a dangerous thing to do. The after effects would either have her running amok in the streets – sometimes without her shoes, attempting to give herself a new hairstyle, or simply talking non-stop the whole time. 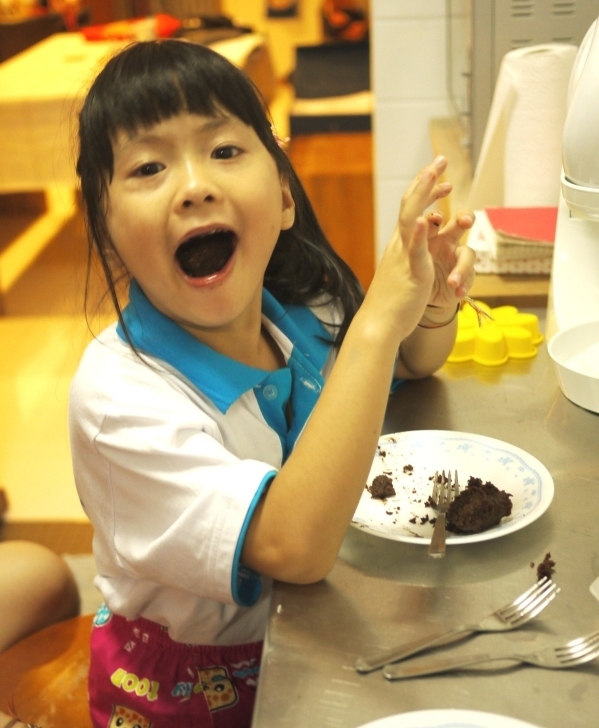 This time when her ah-dang zzz baked her a 3 layer petite chocolate cake with chocolate cream cheese, she was so happy, she went around our house and kept kissing and eventually ‘kidnapped’ our soft toy gingerbread man and brought it home. hmm. 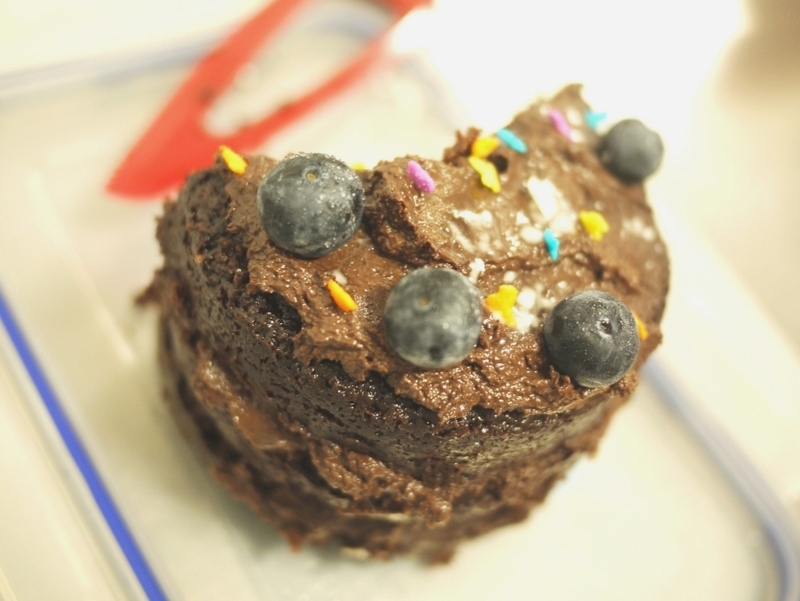 This entry was posted in Bake and tagged 3 layer, cake, chocolate, dous on December 17, 2011 by three3seconds. zzz made a yummy black velvet chocolate cake for her birthday. 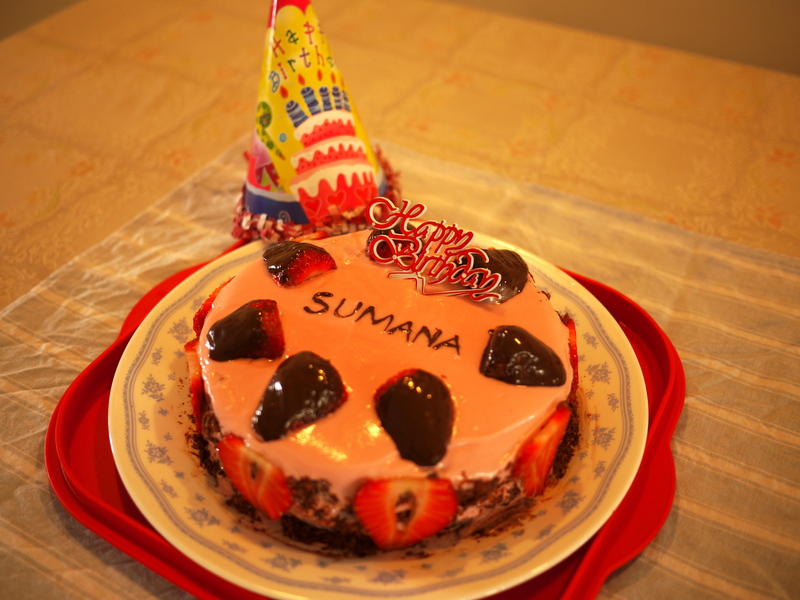 This entry was posted in Bake and tagged birthday, black velvet, cake, chocolate, dous, Sumana on December 1, 2011 by three3seconds. Never knew what clementines were, until zzz was inspired after watching a Nigella Lawson’s episode. I must say it’s a really good (and expensive) cake!! Mainly because it’s made from almond powder, not flour. Yummys! good to go with vanilla ice-cream too! Put clementines into a pot, cover with tap water, bring to boil and simmer for 1-2 hours. Drain the clementines. When cooled, roughly chop and blend into a rough paste. Preheat oven 190 deg celcius. Line and butter a 7 inch cake tin. Beat eggs or whisk by hand. Fold in dry ingredients. Add clementines and mix well. Pour batter into cake tin and bake for 40 mins. May need to cover the tin with foil or metal lid for the last 5 mins of baking. Goes well with chocolate ganache and vanilla ice-cream. 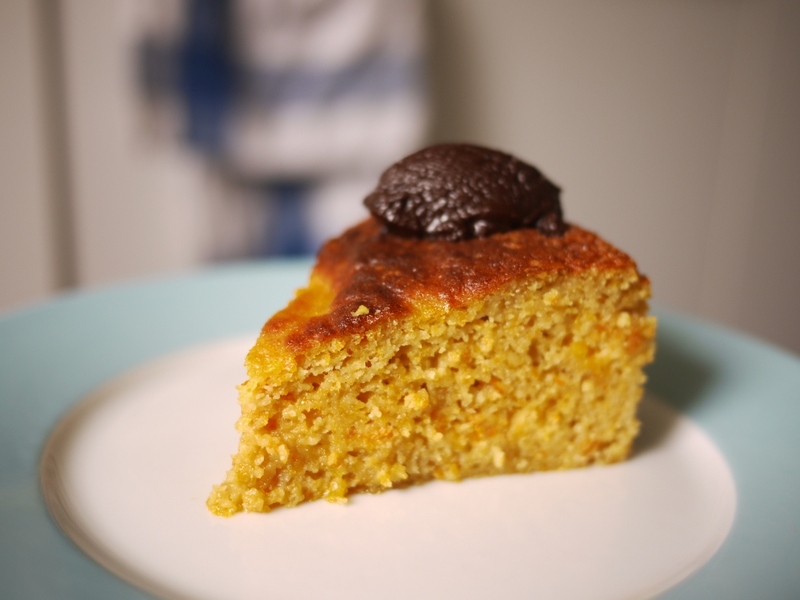 This entry was posted in Bake and tagged cake, clementine on November 7, 2011 by three3seconds. Celebrated mum’s birthday at home with a home baked pumpkin cake with cream cheese frosting, covered with walnuts all round. She originally wanted a cream-based cake (mum insisted no chocolate, claimed that it’s too rich for after dinner dessert!! – we think she actually like cream much better. 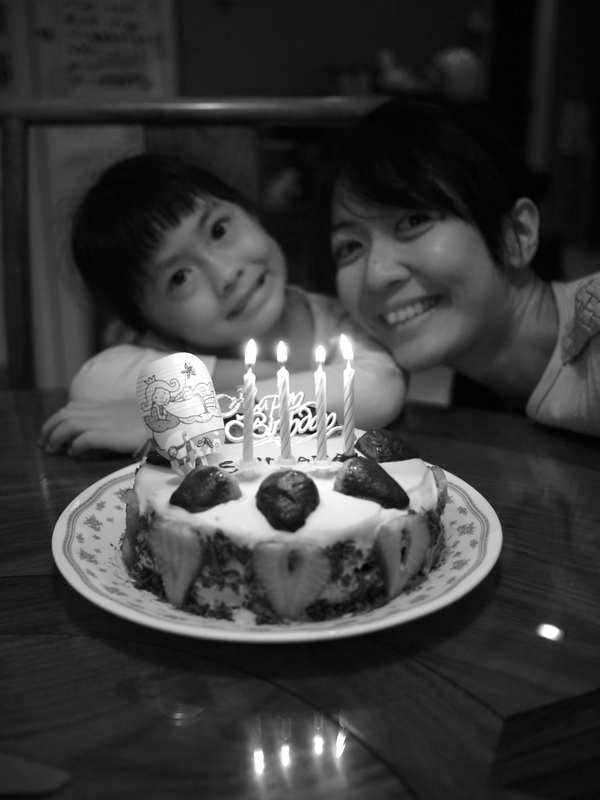 And actually, the cake was a 2nd dessert after her papaya and white fungus sweet dessert), but zzz thought why not bake a cake (and we still have the nearby bakeries to save us if anything) since it was a public holiday and we were staying home? Ah, well, good choice. Result was a yummy one, although the texture and look quite alike to cedele’s carrot cake, yes? Made us all happy. 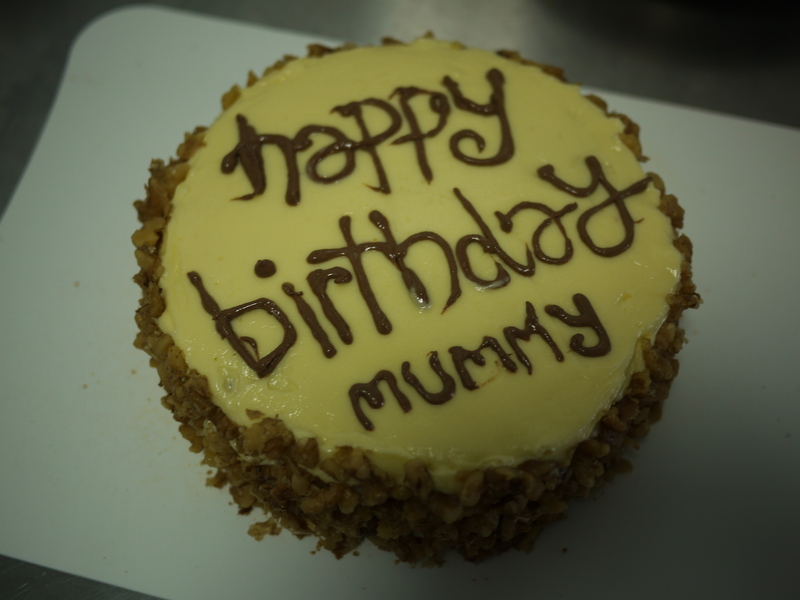 Happy birthday mummy!! 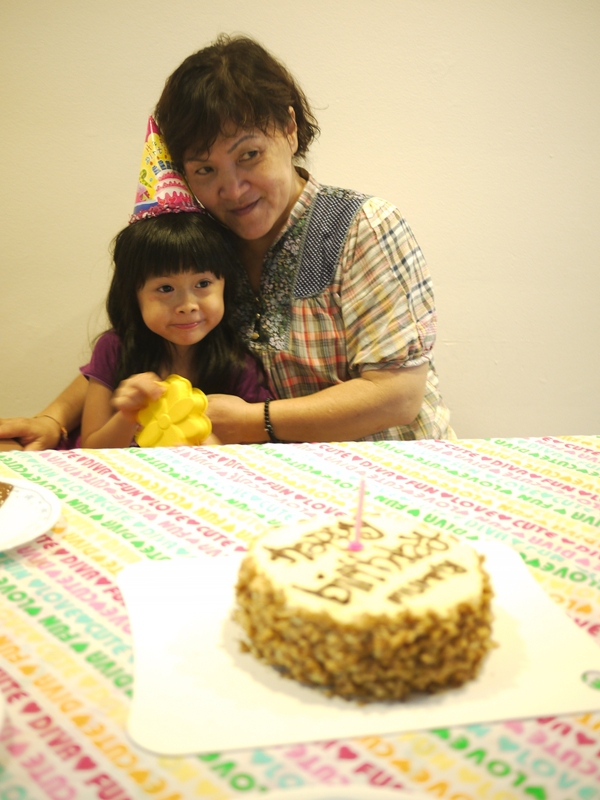 This entry was posted in Bake and tagged birthday, cake, cream cheese, pumpkin on October 27, 2011 by three3seconds.